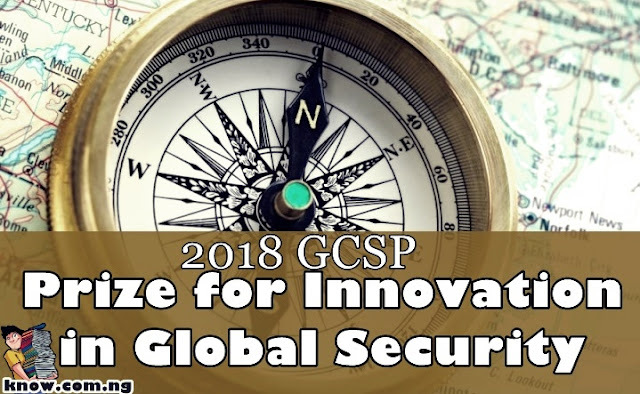 The Geneva Center For Security Policy (GCSP) and its Geopolitics and Global Futures Programme are now accepting applications for the 2018 GCSP Prize for Innovation in Global Security. - The Prize consists of a cash award of CHF 10’000, and all travel expenses for the winner to attend the award ceremony in Geneva. - The winner will be chosen by a panel of judges consisting of renowned practitioners from international organizations, governments, and the private sector, who will also attend the ceremony. - The prize would help fund projects while providing increased international visibility for the participant’s work. It is part of the Centre’s Creativity and Innovation Initiative and is meant to stimulate forward-thinking and creative solutions to current issues in international security. Applications are welcomed from any country, but the project should go beyond national borders in its reach or thinking and must seek to address global security in innovative ways or through new ideas. The deadline for applications is on the 27th of September 2018 at 18:00 UTC+2. The winner will be announced in November 2018. Find out more by visiting the official website GCSP.ch.